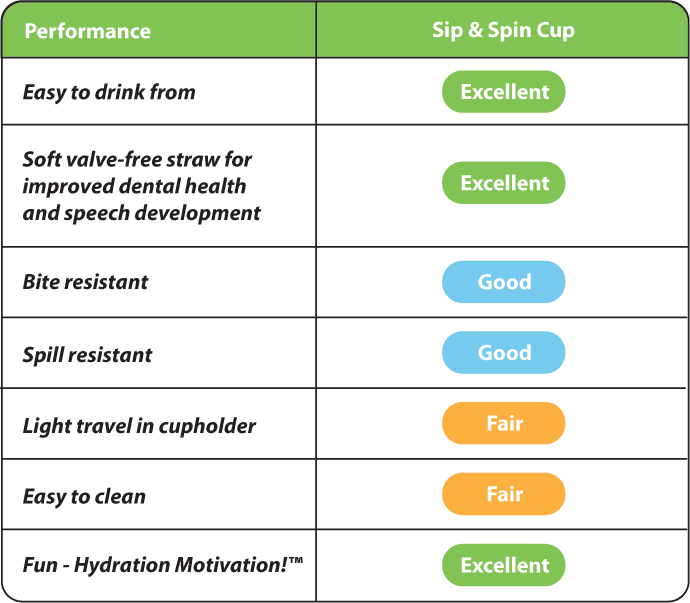 Sip & Spin Fun Straw Cups – Hydration Motivation! The Sip & Spin straw cup has a unique fun-factor – a pinwheel in the lid that spins as you sip. The racing trucks and soaring butterflies can encourage playing kids to take a water break, cheer up and rehydrate a sick child, or motivate a toddler to transition from a bottle or spouted sippy to a straw cup. The interactive pinwheel can also be a fun motivator for children with feeding aversions (transition from g-tube to oral feeding, sensory sensitivity, etc.) and other feeding disorders to drink from a straw cup. As parents, we know what a pain it can be to clean kids’ cups, so we made sure all the components come apart easily for cleaning and are dishwasher safe. 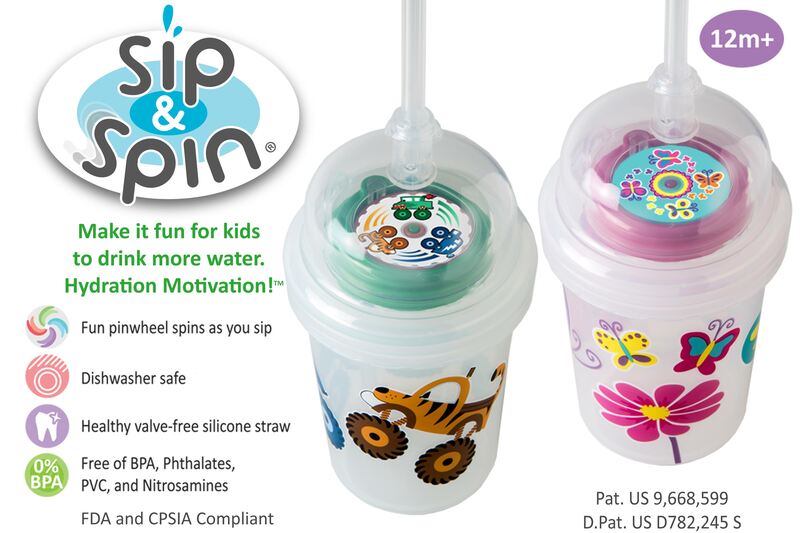 The Sip & Spin straw cup is a cute gift and a fun way to keep kids hydrated… Hydration Motivation! 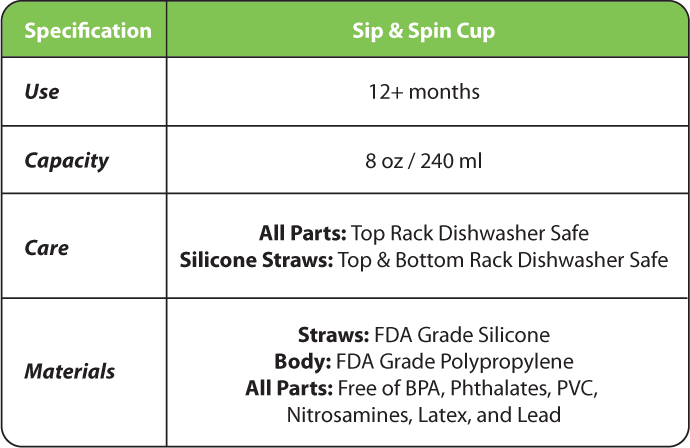 Get the Sip & Spin straw cup with a bonus Zoomi straw.